T-Mobile's self-imposed deadline to bring Android 2.2 to Samsung Galaxy S owners by 1 December has passed, but the network is still unable to give a reason for the delay. "Unfortunately the 2.2 update will not be available via KIES today as expected and Samsung have confirmed that FOTA will not feature as part of this update, but should appear at a later date. "Samsung are indicating the firmware will be made available at some point next week. We'll keep you posted with further updates as we get them." The original promise was to have the update made available over the air to Galaxy S owners by 30 November, but failing that would offer it through Samsung Kies, the dedicated PC software. 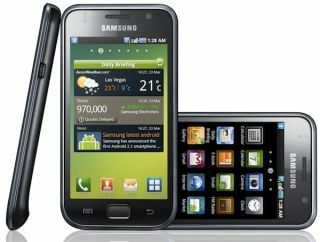 "Regarding the Galaxy S [Android 2.2 update], T-Mobile are working on getting the update out as soon as possible. "More information will be provided in due course." We're still pushing T-Mobile for more information on why the delay has happened - the network promised a deadline and the passing of that and the lack of information on why no update is forthcoming has understandably riled many users on the forum. We'll update you with more information on this story as we get it.